The Marble Factory's Engineered Granite vanity tops are manufactured and come with a moulded backsplash and an undermount porcelain basin, combining beauty and functionality. 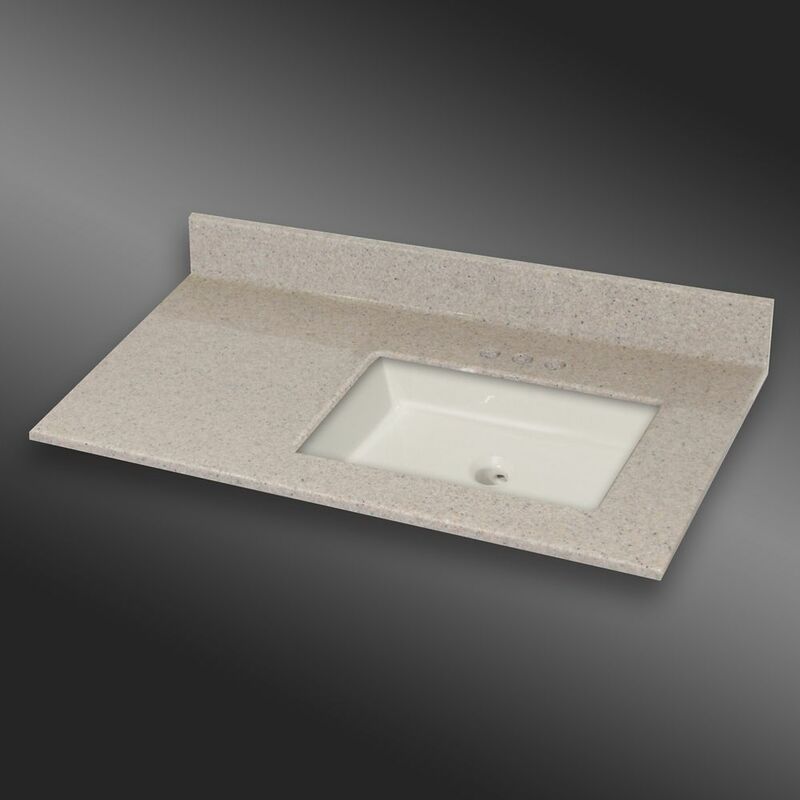 The tops are made from a mixture of polyester resins and natural stone fillers and are easy to clean and designed for hassle free installation and care. They have a non porous clear coat and do not require sealing. PG141 Irish Cream- single basin vanity top. Pre drilled with 4 inch faucet centres. The Marble Factory warrants vanity tops to be free from defects in workmanship and materials for a period of five (5) years from date of purchase. Call 1 (403) 279 2552 for warranty details, or installation instructions. 37-Inch W x 22-Inch D Granite Square Right-Hand Basin Vanity Top in Irish Cream The Marble Factory's Engineered Granite vanity tops are manufactured and come with a moulded backsplash and an undermount porcelain basin, combining beauty and functionality. The tops are made from a mixture of polyester resins and natural stone fillers and are easy to clean and designed for hassle free installation and care. They have a non porous clear coat and do not require sealing.